After enduring what has been described by many people as a baptism of fire, controversial boxer, Brimah Kamoko has accepted that he was truly beaten by Bastie Samir in Saturday’s bout. According to him, Bastie was able to beat him because he was a better boxer on the day and rubbished claims that his opponent used juju to beat him. 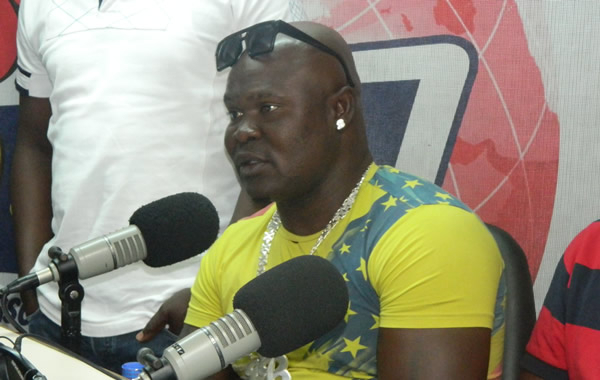 Speaking on Accra-based Kasapa FM on Monday morning, Bukom Banku said juju has no place in boxing. The bout between Brimah Kamoko and Bastie Samir came off on Saturday at the Bukom Boxing Arena in Accra. The mega fight dubbed ”Make or Break” had taken the centre stage in media circles as braggart Bukom Banku whose record before the fight stood at (29-0-0) had vowed to stop Bastie in the 6th round. But it was a different ball game in the ring when the moment of truth and the battle for bragging rights presented itself. Bukom Banku endured some terrible moments as he was outboxed by a more stronger Samir Bastie until referee Roger Banor stopped the fight in the 7th round. With the win, Samir record now stands at (16-0-1, 15 KO’s).